Another way to save on your tax obligations is to contribute tax-free dollars to a health savings account, which is available to both employees and retirees—although there are requirements that must be met in order to participate. HSAs are somewhat similar to FSAs, in that money is set aside to pay for out-of-pocket health care expenses that is not subject to federal, state, FICA, or Medicare taxes. HSA funds stay with you when you change plans, switch jobs or retire. The money belongs to you. The balance in your HSA can continue to grow from year to year as more money is added to the account. Think of it as a health care IRA. After age 65, you can spend the money on anything, but if it is not a health care expense, regular income tax will be due. 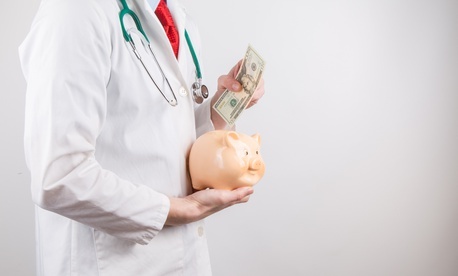 There are limits on how much can be contributed annually to an HSA. For 2018, they are set at $3,450 for an individual and $6,900 for a family (including a self plus one FEHBP enrollment). Contributions can be made at any time throughout the year through a lump sum deposit or periodic payments. Most employees can also use payroll deductions to contribute to their HSA account. The Office of Personnel Management and the FEHBP carriers agree on a specific premium rate for high deductible health plans, and the plans allot a specified portion of the premium to be passed through on a monthly basis to the FEHBP member's HSA. The pass-through amount is deducted from the maximum contribution allowed. For example, the FEHBP plan may credit a pass-through amount of $125 per month or $1,500 a year to your HSA account for self plus one or family coverage. This would reduce the $6,900 annual maximum contribution to $5,400 in participant contributions. This premium pass-through, in essence, lowers the overall cost to you for enrollment in the HDHP. If you are age 55 or older, you can contribute an additional $1,000 to your HSA. So far so good, but there are some tax issues to be aware of. If you contribute above the annual limit, you can withdraw the excess amount and any earnings on it before April 15 of the following year. However, you must pay a 6 percent income tax on your excess contributions and on any earnings they generate. If in the next year you decrease your maximum contribution by the amount of your excess contribution made the year before, you do not have to pay the 6 percent excise tax again. If, however, you leave the excess contribution in, and do not decrease your maximum contribution by the amount of your excess contribution made the year before, you will have to pay the 6 percent excise tax every year the excess contributions and earnings are in the HSA. The tax benefit of an HSA is that you can receive tax-free distributions (which include the premium-pass through amount, your contributions and earnings on the account) from your HSA to pay or be reimbursed for qualified medical expenses you incur after you establish the account. If you receive distributions for other reasons, the amount you withdraw will be taxed as income and may be subject to an additional 20 percent tax. You don’t have to take distributions from your HSA each year. When you establish an HSA, you will need to file IRS Form 8889 with your tax return each year. This form is used to report HSA contributions, figure your HSA deduction, report distributions from the HSA, and compute amounts you must include in income and additional tax you may owe. As you can see, there are benefits to paying for health care expenses with tax-free dollars, but there are also consequences if you fail to follow the rules. If you’re not sure about this or any other aspect of planning for how you will manage your income, benefits and tax obligations in retirement, you should consider consulting a tax professional.